loving my new aimpoint 9000sc on y RO I am however finding my brass is hitting th main body of the scope right above the ejection port. Buddy of mine says I may need to have the port lowered more. Asking to see if anyone else is having or has had the same issue and how you resolved it. If it’s even an issue. 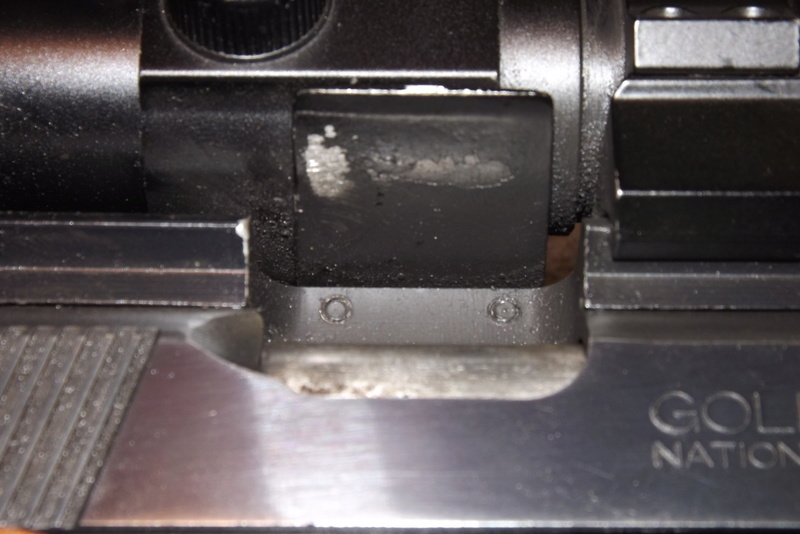 I’m no gunsmith so I may be wrong, but I believe shaping the end of the ejector directs the path of spent shell casings as they are ejected from the gun. It depends on what you need as to how to shape it. Ask some of the gunsmiths here. They might be able to shed some light on it. My RRA Wadcutter did the same when I mounted an UD on it. 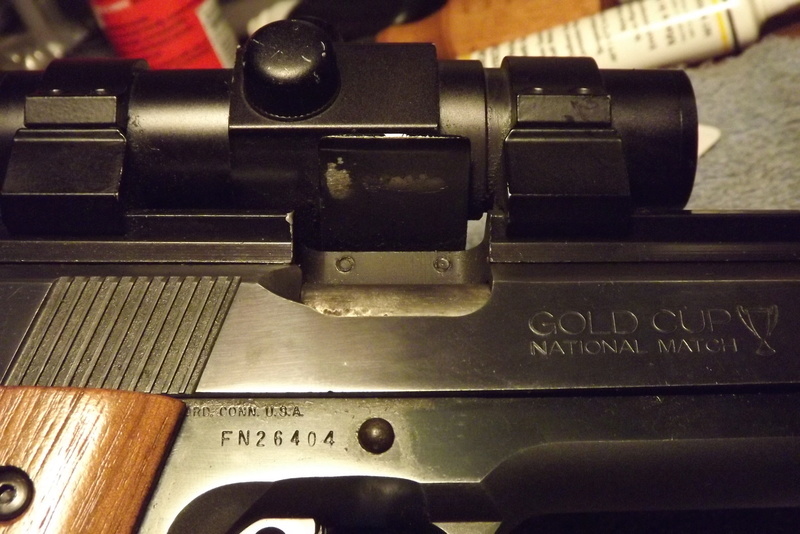 I was concerned at first and purchased a deflector that mounts on the rib to keep it from hitting, but since have removed it and just let the brass bounce off of the scope. Well then. Guess I’ll stop worrying about it. Roddy made a deflector for mine. Doesn't look that hard to make. Looks like it gets used a lot. Where do I get one please. I have a few of those deflectors from RRA in stock. I would make sure the ejection port is lowered "enough" and the proper bevel on the inside of the port is done. Of course along with the length of the ejector and proper tension on the extractor. kc.crawford.7 wrote: I have a few of those deflectors from RRA in stock. 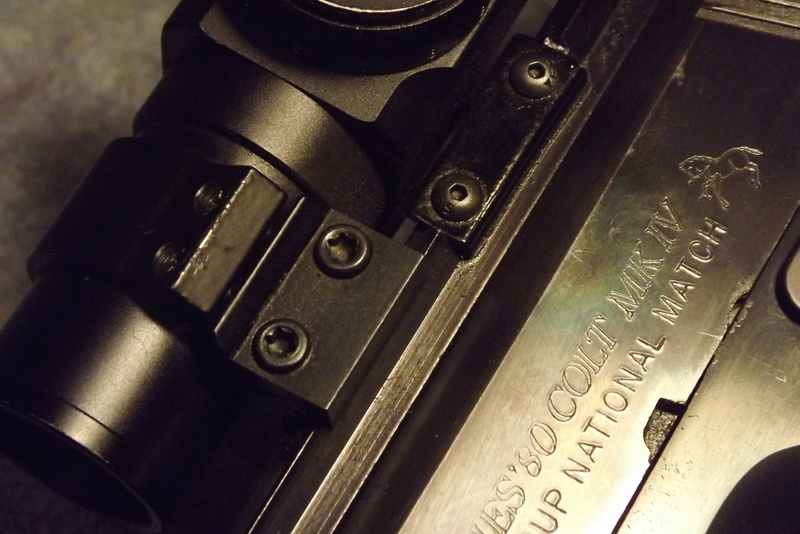 I would make sure the ejection port is lowered "enough" and the proper bevel on the inside of the port is done. Of course along with the length of the ejector and proper tension on the extractor. I can see this WHOLE Ro needs to make a trip back to you....lol. Might have to wait till after the next season. I can’t afford to not have it right now. Or I could just shoot rimfire. Send me a check for $25.00 and it's in the mail.